The 20th annual Initiatives in Arts and Culture (IAC) Conference was held Thursday and Friday at the Museum of The City of New York. Founded by Lisa Koenigsberg, IAC’s primary activities are conferences, publications, and exhibitions that take an interdisciplinary approach, considering issues related to fabrication, connoisseurship, cultural patrimony, cultural preservation, and the future of culture. This year the conference featured a “think tank” gathering of leaders, associations, and trendsetter, exploring the fluidity and changes affecting the fashion industry, including how disruptors bring innovation and revolution to the design story. 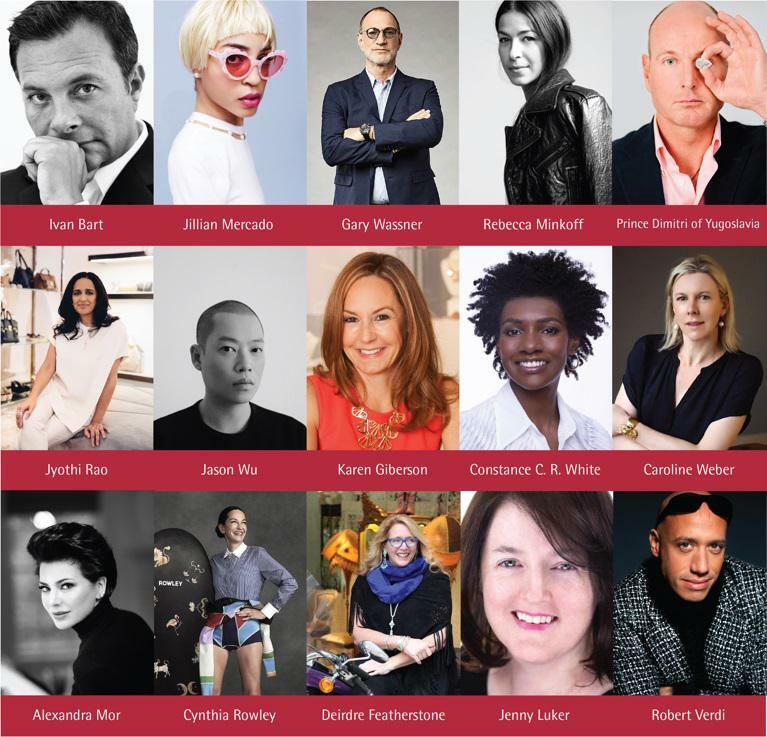 Speakers included fashion designers Jason Wu, Cynthia Rowley and Rebecca Minkoff, bestselling author and Columbia professor Caroline Weber, jewelry designer Prince Dimitri of Yugoslavia, and fashion marketing guru Ivan Bart. Koenigsberg spoke about the conference, its goals, and the changing environment in fashion and retail. How has the conference changed or evolved over the past 20 years? The conference has retained its focus on the history of fashion and related expressions, exploring major houses and designers. At the same time, IAC and the conference have increasingly been concerned with what is happening now: adornment jewels and accessories, and issues pertaining to the relationship of fashion to larger social issues, ranging from sustainability, to inclusion, to social media and marketing, as well as the power of the image. How can the conference be helpful in dealing with a rapidly changing fashion environment? Every year we consider pressing issues of the moment, and our consideration is enhanced because of IAC’s relationships with industry leaders, academics, professional associations, designers, and today’s thought leaders. We commit to bringing pressing issues ranging from design trends to body types; various price points, each of which has its demands; and new approaches to balancing societal imperatives with fashion, and all that is involved in creating great design. How can new designers establish themselves without using the traditional route of brick & mortar stores? Will it even be possible? Yes, we can see this in front of us every day. La Ligne, established by three women, is a direct to consumer brand. Through e-commerce, trunk shows and other appearances, La Ligne makes use of relationship-based endorsements from high profile loyal followers called La Bande. Much current discussion addresses the power of Instagram, and whether it has eclipsed print publications. Additionally, pop-up shops allow for episodic but traditional encounters with the consumer, ranging from trendy to high-end. This upcoming Monday, November 12th, IAC will be hosting its inaugural diamond and gemstone conference at the William and Anita Newman Conference Center of Baruch College, at 151 East 25th Street. Day of Light seeks to explore a range of topics, from branding initiatives in the industry, to color trends affecting design, to the importance of storytelling in customer engagement and experience. By exploring the bread and butter bridal market alongside bespoke, as well as issues impacting the colored gemstone industry, Monday’s program is set to immerse participants in thoughtful and engaging discussions around hot topics, better practices, and new approaches for customer connection.